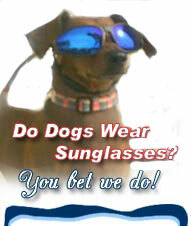 Doggie Shades Links- Pet Resources! If you would like to exchange links with us, please contact the webmaster. Graphic Transfer - Can you trace a line? Then you can start your own business creating personalized items. Use the high speed engraving tool to create unique pet gifts. Use your pet's picture to create a personalized gift. MarvelMitt -The MarvelMitt Pet Hair, Lint Remover and Grooming Mitt. Removes pet hair from car seats to carpets, couches to clothing! Removes pet's loose hair! Washable! Guaranteed!